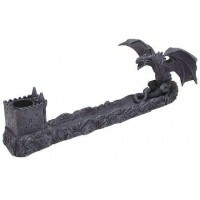 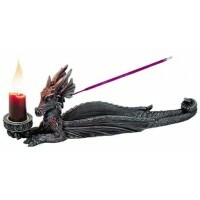 A winged dragon watches the smoke curl from stick or cone incense in this lovely boat style burner. Amazingly detailed resin incense boat in stone finish is 10 7/8 inches long. 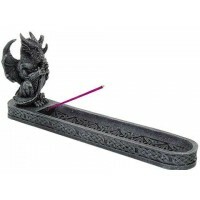 He holds a stick incense in his mouth and the brass cup at the foot can be used for mini taper candles or cone incense (sold separately). 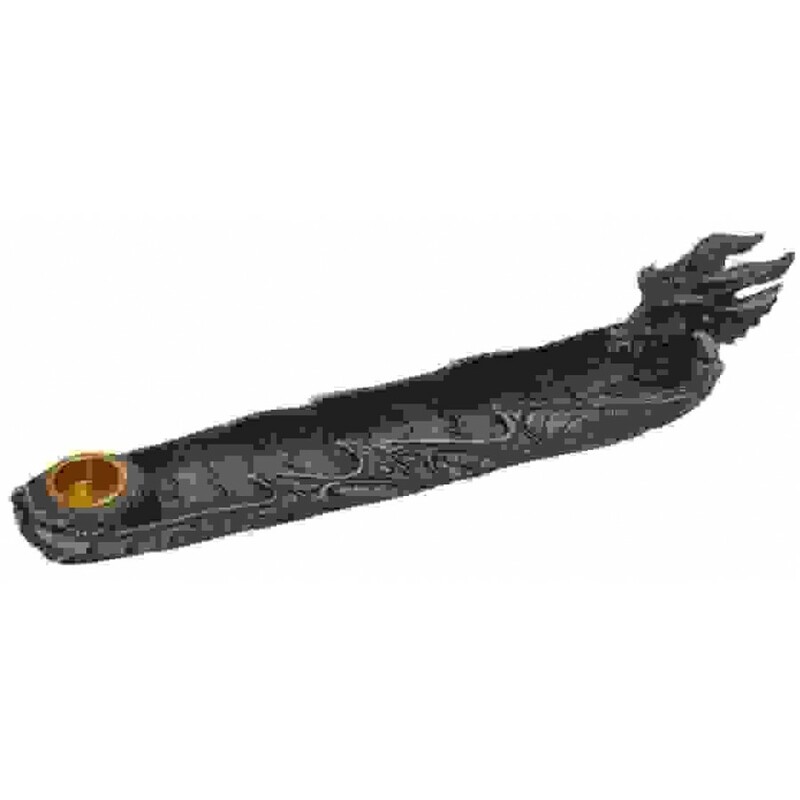 Item Number: PT-11027 | Approximate Size (Inches): 10.78 wide x 2.18 deep x 2.38 high | Approximate Shipping Weight: 1.00 lbs.